Ryan Bader finishes Fedor Emelianenko to win the vacant Bellator heavyweight title, which means that he made history as he’s now a two-division champion. This fight served as the headliner of Bellator 214 on January 26, 2019 at The Forum in Inglewood, California on Paramount Network and DAZN. In round 1, the light heavyweight champion dropped him with a left hook and Fedor was out on his feet. Bader followed up with a right hand for extra measure to win the heavyweight tournament final. 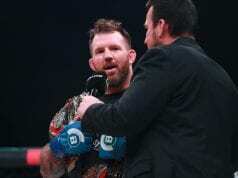 Bellator MMA finally crowned its new heavyweight champion, which has been expected for some time. Thus, the Viacom-owned promotion brought back a tournament to find their heavyweight champion. The company had been without a heavyweight champion since the title was vacated by then-champ Vitaly Minakov. It all went down once Bellator decided to strip him of it in May of 2016 for failing to defend the title. The main event of Bellator 207 (October 12, 2018) at the Mohegan Sun Arena in Uncasville, Connecticut saw Bader score a decision win over Matt Mitrione. This served as a heavyweight grand prix semifinal bout. 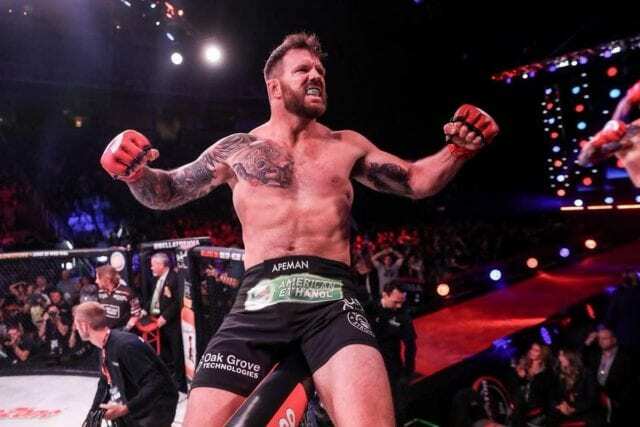 Before this fight, Bader picked up a first-round knockout victory over Muhammed Lawal in the quarterfinals of this tournament at the Bellator 199 event on the Paramount Network at the SAP Center in San Jose, California. On the flip side, Fedor beat Chael Sonnen on at Bellator 208 at the Nassau Coliseum in Uniondale, New York by first round TKO. Before this, in the main event of the Bellator 198 event at the Allstate Arena in Rosemont, Illinois, on the Paramount Network, the MMA legend finished former UFC heavyweight champion Frank Mir. It happenend through strikes in the first round. This bout served as the Bellator Heavyweight Grand Prix quarterfinal bout. Emelianenko is a historic figure in the history of the MMA game and no doubt an MMA Legend.